Like many Japanese food places, the first thing you’ll notice when you find Daily Chiko (also spelt Daily Chico, and sometimes Daily Choco) is the display of fake food. 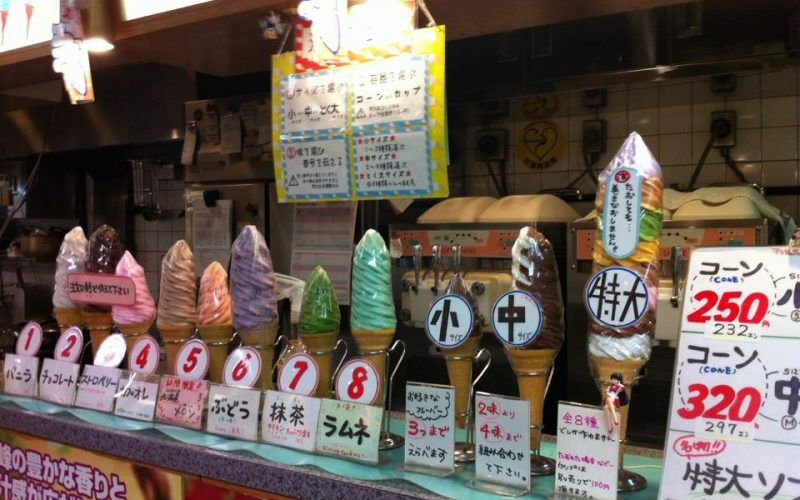 In this case, it’s a display of all the sizes and flavors of soft serve ice-creams that they sell. 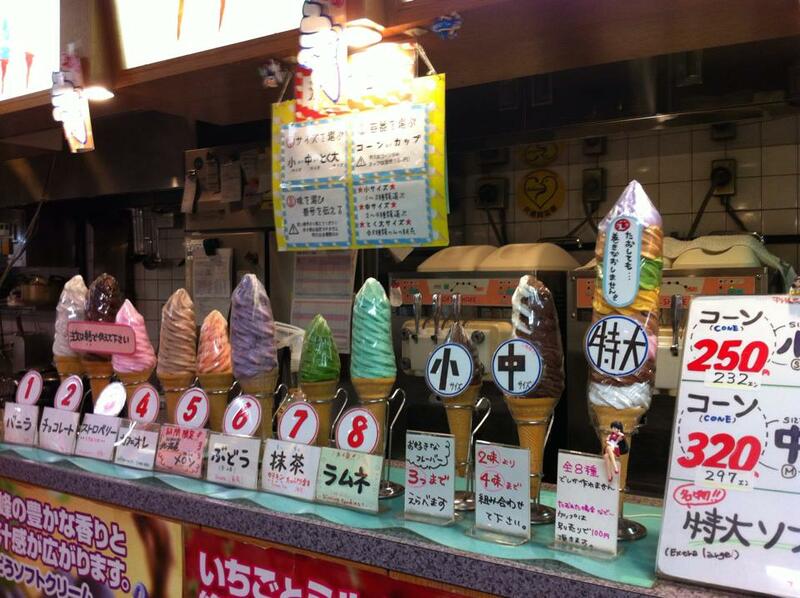 On the far left is the famous Tokudai Soft Cream (extra large or super-size soft serve). There are no tables or chairs near Daily Chiko, so if you’re thinking of eating the Tokudai soft serve, you’ll probably need to do what most people do and stand there eating it on the spot. And don’t assume that you can take it slowly either; melting ice-cream stops for nobody, so you have to eat it pretty quickly. My partner got through his in about 10-15 minutes, which was really quite impressive given the size of the ice-cream. 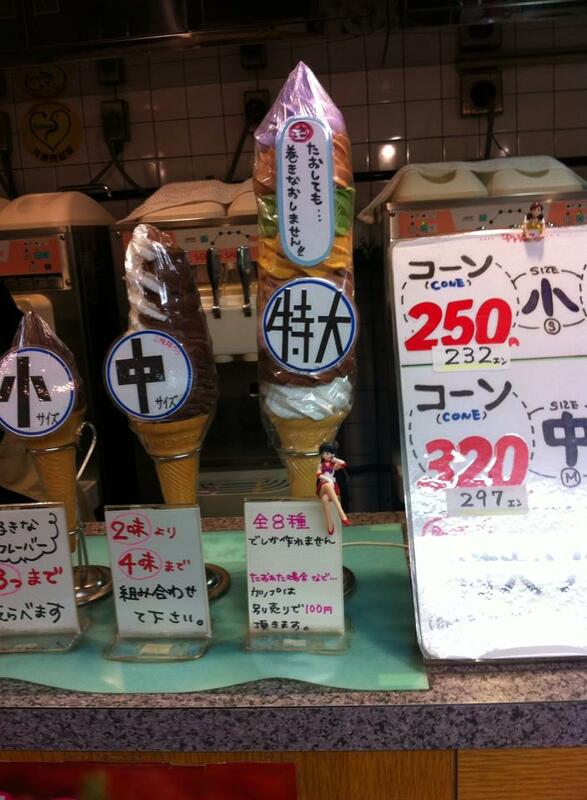 The Tokudai Soft Cream is not just an ice-cream; it’s a challenge, and a serious one at that. Here it is: The flavours, top to bottom: chocolate, vanilla, strawberry, coffee, Hokkaido melon, grape, green tea/matcha, fizzy candy. All of the flavours were good. The coffee flavour quite was strong, and the fizzy candy was basically sherbet flavoured. 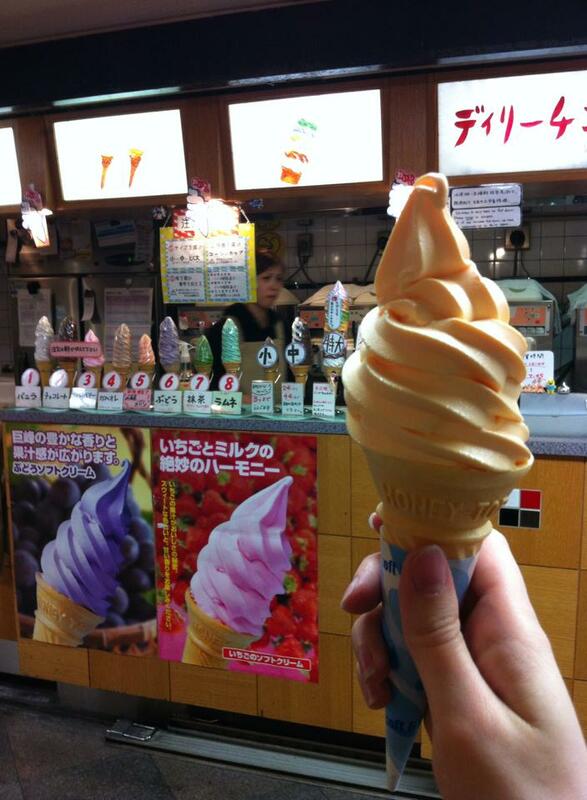 Daily Chiko changes its soft serve flavors from time to time. At 480 Yen this crazy soft serve is good value, especially if you’re keen to try every flavour that they sell in just one cone. There was no way that I could attempt to eat a giant soft serve, so I patiently waited 15 minutes (read: watched, laughed, cheered him on and took photos) while my partner ate his way through the giant one. I took his recommendation on a single flavour (given that he had just tried every single flavour available) and opted for the smallest size of the Hokkaido melon soft serve. It was so good that I can’t wait to get back to Japan so that I can jump on the train to Nakano and get another one. Would I recommend Daily Chiko and the Todukai Soft Cream? I would definitely recommend trying a soft serve from Daily Chiko. 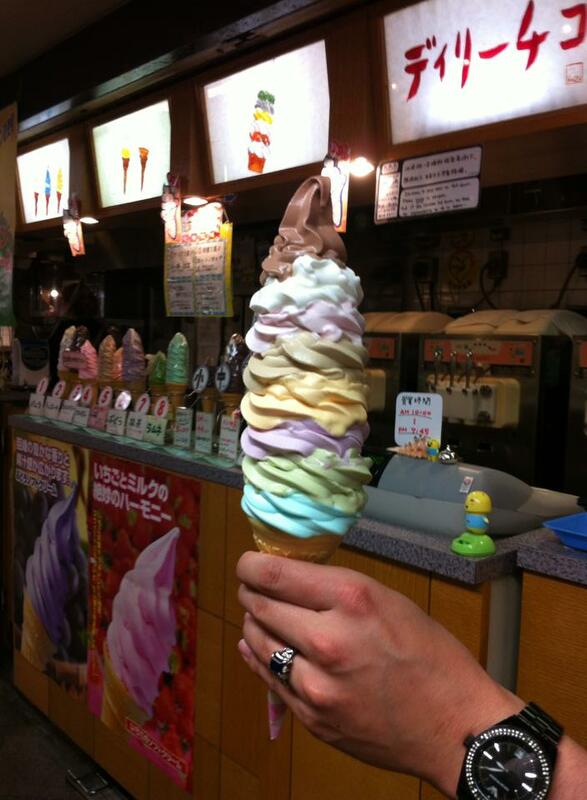 As for the giant soft serve… this all depends on your appetite. Apparently most people who try the Tokudai Soft Cream share it in groups of two or three. Personally I’m completely grossed out by the idea of sharing an ice-cream with friends, but each to his/her own… Sharing with a partner would certainly be easier than eating one alone. And if you’re up for the challenge, I would recommend giving it a shot – but do it before a meal, not after!